Getting drunk is not new in Guatemala, or anywhere in the world, everybody have their own version of “happy hour/moment”. 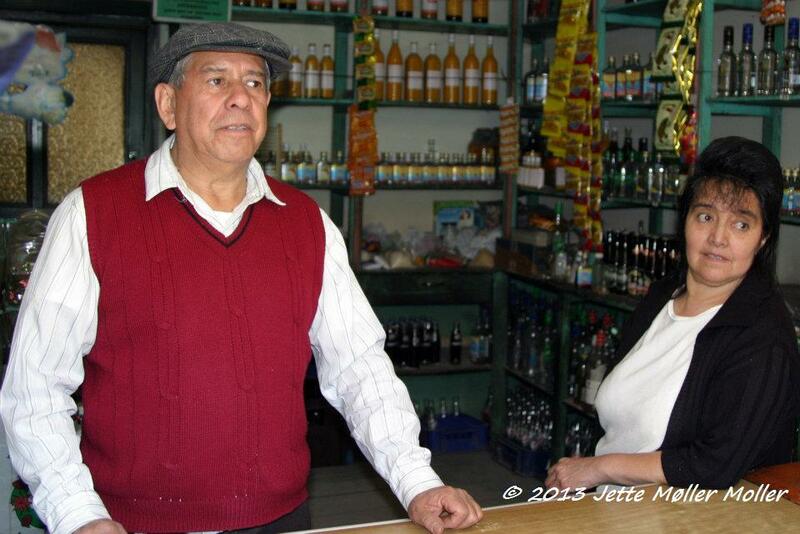 For many years, Salcajá has been the best reference for production of homemade alcoholic beverages in Guatemala. Salcajá is a town in Quetzaltenango, western highlands of Guatemala, located five kilometers from the city of Quetzaltenango. Rompopo & caldo de frutas, are Salcajá’s two famous homemade alcoholic beverages. The caldo de frutas (fruit wine) is a fruit drink that villagers of Salcajá produce all throughout the year. The production of the beverage dates back during the colonial times, sometime around in 1524, when the Spanish conquistador Pedro de Alvarado appointed Captain Juan de León y Cardona to lead the town, who happened to have the knowledge of wine-making. Fruits that occur in different seasons , such as apple, peach , nance, cherry, mamey , grape and others, are fermented for several months. Cinnamon, sugar and liquor are also added into the fermentation. The knowledge of wine-making provided to the Salcajeños was to develop a drink based for different classes of fruits brought from Europe, fruits that American lands can’t produce . Initially, this brew was exclusively for the persons belonging to the upper hierarchy of the villa. However, as time passed by, they began to prepare caldo de frutas in every homes in the community and became a typical drink of the municipality and became a source of income for families afterwards. Another unique alcoholic drink from this town is the Rompopo, a drink like eggnog, which is made of milk, sugar or honey, egg yolk, cinnamon, nuts and alcohol. Like caldo de frutas, this drink is usually shared among with family and friends, and because of its fame for several years, Rompopo is available in other departments. Contrary to what happened with the caldo de frutas, which is produced by any resident of the town, the eggnog, at present, is produced by only two small businesses in Salcajá. One of which is through the store of Elsa Marina Alvardo de Rodas, owner of Fabrica de Rompopo La Salcajeña, most of their products are purchased by people of Huehuetenango , Chimaltenango, Quetzaltenango, Guatemala City, and by tourists from the United States, Japan , France and Italy. The recipe and process of brewing rompopo are strictly kept by store owners or they may specify some ingredients to others but never the quantities and the process. The formulas have been passed down from generation to generation and have changed a little. Production of intoxicating drinks in the country dates back to pre-Hispanic times , when the Maya elaborated drinks like the “chicha”, a uniquely pre-Columbian in origin, was produced from the fermentation of corn, of which an own product of Mesoamerica. The cusha, extracted from the chicha, was used during rituals of the Maya and other peoples who inhabited the region. Salcajá, pioneering homemade and unique Guatemalan alcoholic beverages. Brewing culture, history and authentic Guatemalan flavors: Rompopo and Caldo de frutas. If you enjoyed the bits of information you’ve read and wants more from The Mixed Culture, make sure to subscribe to my mailing list to read my latest blog straight from your inbox. Or, follow me on Facebook orInstagram for the latest scoop from me. Feel free to email me for any questions or comment below.